You may have heard bankruptcy help is not available or that you cannot file bankruptcy on credit cards or medical bills. It simply is not true! You might be scared that you are not eligible to file for bankruptcy relief. Bill collectors might be lying to you.Â Congress added an income test to determine who can file chapter 7 bankruptcy, but experience tells us that the vast majority of our clients PASS the income test. 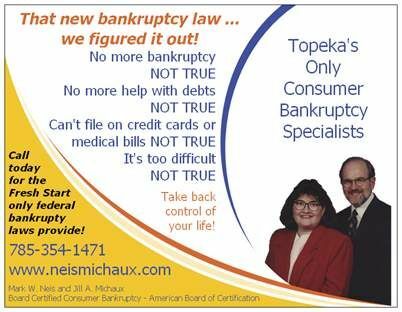 Bankruptcy help is still available! The truth is that most people can do almost everything under the new bankruptcy law as before. Â As it turns out, many clients are getting a better deal under the new bankruptcy law. Don’t believe the propaganda!Â Ask us for the facts.